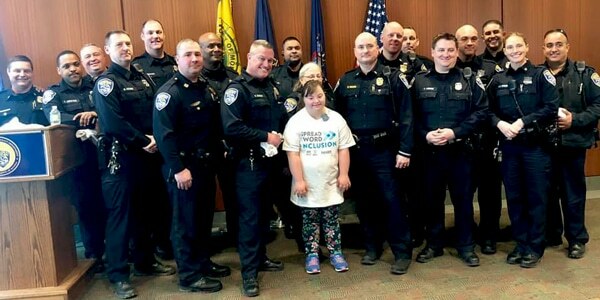 On March 20, 2019, Best Buddies partnered with the Rochester Police Department to hold a press conference for Spread the Word Inclusion. The event was kicked off with speeches from Officer Waldo and Best Buddies ambassador Olivia Tando. 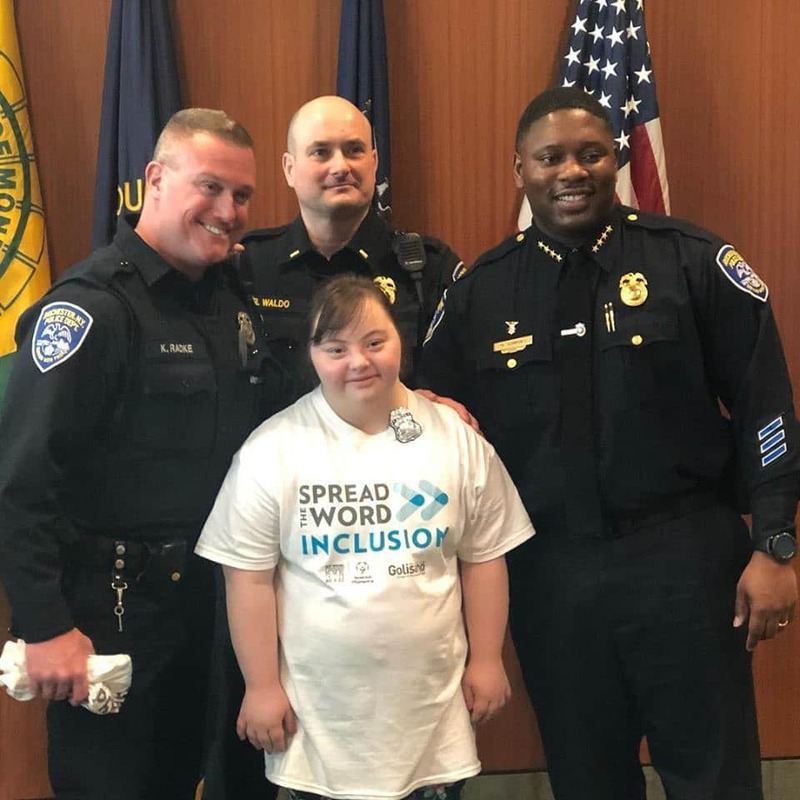 Following their motivating words, over 40 Rochester Police officers signed the “I pledge to spread inclusion cards.” Best Buddies is so excited to be connecting with the department on this initiative and look forward to continuing to build a partnership with the Rochester Police Department! 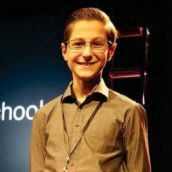 "In my short time I've been involved in Best Buddies it has completely transformed me. I was making new friends, having a more optimistic view on life and all students involved are benefiting from the program..."
This year, our annual Speech Writing and Public Speaking Ambassador Training was held in conjunction with a Conversational Advocacy Training geared toward the Friendship Walk. 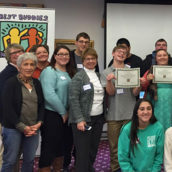 On November 11th at The Beverwyck in Albany, nine middle school, high school and college students participated in the speech writing/public speaking portion, learning the vital skills needed to create and present a speech geared toward their experiences and growth in Best Buddies. 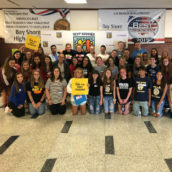 Best Buddies New York Leadership Trainings were held in our Long Island and New York City Regions for 75 high school and college students. Throughout the trainings, our student leaders were active participants in discussions about the three pillars of Best Buddies and how they support our mission. 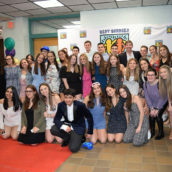 The Long Island Masquerade Friendship Ball 2019 was held at Longwood High School. Our buddy pairs attended in their favorite masks and danced the night away to show their support for Best Buddies.